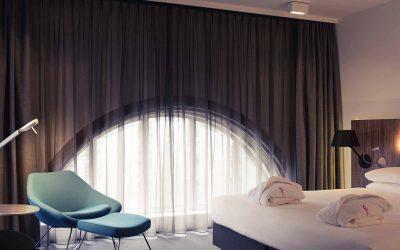 The rooms at the 4-star Mercure Hotel Nijmegen Centre grab the contemporary, minimalist restrained design concept of the hotel’s public areas without letting you miss any aspect of comfort. Each of the 112 rooms has air-conditioning, flat screen TV and free WiFi. 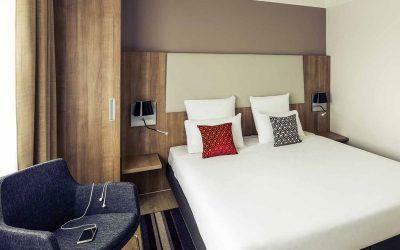 Standard Rooms are equipped with single, double or twin beds. In the upscale Privilege Rooms you will stay in a king-size bed, enjoy free minibar items in a stylish environment with a preferred location as well as Nespresso machine, bathrobe and complimentary Pay-TV.